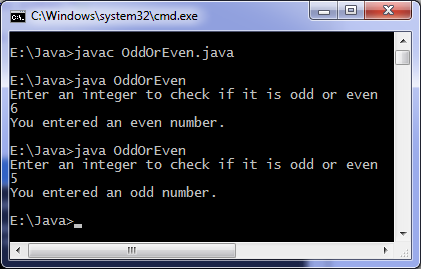 This java program finds if a number is odd or even. If the number is divisible by 2 then it will be even, otherwise it is odd. We use modulus operator to find remainder in our program.